We are trash. Not personality wise, though that is also questionable, more in the sense that as a country we generate enormous amounts of waste. Coming from a military family, AP Language and Composition teacher Catrina Galloway chose to serve in the Army Reserves, specializing in psychological operations. Often times, students attempt to recycle on campus, expecting the recycling bins to be separated from the trash and picked up when disposed of. In the past several weeks, the Spanish department has scrambled to cover the classes left without a teacher following the arrest of Ricardo Chavarria on Jan. 22. While many incoming freshmen will begin to grasp the concept of being in a new school, much more thinking is needed for their future academics and beyond. Following the longest government shutdown in American history, President Donald Trump signed a bill to reopen the government on Jan. 25, suspending his month-long push for $5.7 billion in funds to construct a Southwestern border wall with Mexico. ​As of this year, Californians experienced some of the largest fires in all of the state’s history. ​Hot foods have been a staple in the student store with pizza and burritos being a longtime fan favorite. Fire is one of the most terrifying elements on this planet. In the packed auditorium at Leland High School, district representatives pleaded before a hostile crowd. ​For nearly 100 years, the SAT has been a factor in the college aspirations of American high school students. As the academic standards for core high school classes change and evolve, the materials students use for their educational success must as well. As this year’s News Editor I have big shoes to fill, considering that this column used to belong to Katie Nguyen, my sister and former Editor-in-Chief. Two years ago, a survey asking about campus renovations was sent to the Pioneer community in order to find what they would like to see improved. Although students and politicians had mixed opinions on a recent bill to push school start times until 8:30 a.m., the debate ultimately ended on Sept. 20 when the proposed bill was vetoed. In the past, coming back to school has been celebrated with events such as the Best First Week Ever. For the past five years, Pioneer has offered physics to all incoming freshman as part of a “Physics First” program, however, new shortages of hireable teachers with physics degrees may soon challenge this tradition. Typically, receiving a call slip to the Principal’s office means negative consequences. Since the release of the 2015 film “Concussion,” football has been put forefront of the debate about the safety and regulation involved with concussions and head trauma. Mustang Madness takes campus by storm every year as students from each grade come together to compete against each other and show off their school spirit. ​After two years of working with Pioneer students and staff, Assistant Principal of Guidance Todd Weber will not be returning next year, as he moves on to fulfill his dream of becoming the lead principal at Hacienda Elementary School. With bathrooms housing five to a stall and students with their sleeves to their mouths in classrooms, Pioneer’s vaping problem has gotten to the point where Leadership is involving administration, staff, and parents to try and inform everyone about the issue. ASB elections took place on April 5 and 6 with campaigning taking place throughout this month. Students are now more familiar with the pool of substitutes who frequent Pioneer; however teachers are not as lucky. Sick days for our staff are few and forthcoming. Test scores for the Smarter Balanced Assessment System reached an all-time low since they began publishing results in the 2014-2015 school year. On March 14, cosmologist, Cambridge University physicist, best-selling author and pop culture icon, Stephen W. Hawking CH CBE FRS FRSA, lost his battle to amyotrophic lateral sclerosis, Lou Gehrig’s disease, at age 76. On Feb. 14, 17 students and staff members from Stoneman Douglas High School were killed at the hands of an assault rifle. Students have noticed a new addition to the girls’ bathrooms around campus and this update will impact female students for the better. Start mourning Thursday mornings because the gap between zero and second period will be taken away next year. Prepare for posters, propaganda, and politics as the beginning of ASB elections are quickly approaching. The Parkland shooting that killed 17 students on Feb. 14, 2018 surpassed the Columbine shooting on April 20, 1999 that took 13 lives and reignited the debate between placing greater gun regulations and providing rearms and training to school educators in order to protect students. As I wait for colleges to accept me, I have entertained myself with this year’s Winter Olympics. It amazes me how so many athletes my age have been able to achieve so much and I am inspired to accomplish more with my life. It was round two of the Battle of the Bell and the Mustangs went head-to-head against the Grizzlies. In preparation for the 2018-2019 school year, the administration team has put forth different bell schedule propositions in hopes to help students perform better in the classroom. The SJUSD Governing Board passed a resolution protecting the rights and privacy of their students on Feb. 9, 2017 and informed educators and administrators on procedures to protect their rights in lieu of impending Immigration and Customs Enforcement raids in San Jose. Although Mustangs currently have four options for English classes as juniors, many sophomores were shocked to find English 5-6 Honors removed from the list when schedule discussions began this month. Starting next school year, the Spanish department will be offering students the opportunity to take AP Spanish Literature as one of their classes. At around 8:10 a.m. on Jan. 13, the Hawaii Emergency Management Agency mistakenly sent out the message, “BALLISTIC MISSILE THREAT INBOUND TO HAWAII. SEEK IMMEDIATE SHELTER. THIS IS NOT A DRILL,” via television, radio, and phones which was revoked after 38 minutes. People of all demographics flooded the streets of downtown San Jose as drums beat to the sound, “this is what democracy looks like,” was their chant. Every day teachers arrive early and stay late in order to get their work done before students arrive and fear unwanted visitors around campus. According to Ballotpedia, California Proposition 64 or the California Marijuana Legalization Initiative was passed by 57.13 percent of voting Californians in the 2016 election. Effective since Jan. 1, adults over 21 can possess up to 28.5 grams of marijuana for recreational use. Tax revenues from sales will be invested in research and youth programs meant to educate and deter children from abusing the substance. As of Jan. 20 last year Donald Trump stepped into office as the 45th President of the United States. The President and his cabinet have passed a series of reforms that have swayed the opinions of many of his original supporters causing his approval ratings to drop 9 percent since his inauguration according to http://news.gallup.com. His decisions cover many aspects of society that impact the American people, ranging from economics to immigration. As many of you know, Cash Johnson, 12, and our Opinion Editor Isabella Osborne, 11, both had differing opinions on the issue regarding the moment of silence held for Hugh Hefner during one of the weekly broadcast videos. On Dec. 6, the administration team emailed teachers informing them of increased e-cigarette abuse by students and urged teachers to be more cautious by restricting bathroom privileges during class and FLEX. With an overwhelming number of individuals coming forward with sexual harassment stories in workplaces and the media, sexual harassment and assault has become a relevant issue, giving it exposure and awareness. Over 100 students created a bloodbath in the mini gym and no one called the police. Thankfully the blood was not lost in vein. The House and Senate tax bills were both passed by Dec. 2 and created large policy differences, leaving many teachers uncertain of their future at SJUSD. There is still no compromise between the bills, but there are many provisions that teachers and administrators are concerned about. Along the San Andreas fault system, there is a hypothetical earthquake expected to rupture. With a possible magnitude of eight or greater, the ‘Big One’ has the ability to destroy cities, homes, and lives. On Aug. 26, San Francisco 49ers player Colin Kaepernick kneeled during the national anthem to protest racial inequality in the US. The movement has spread and has become a hot button issue following Donald Trump’s address to NFL team owners, calling for them to fire their players. The impact of the fires in Northern California reached as far as Pioneer, coating the school in a thick veil of smoke, canceling many sports and postponing other events on campus. With a total of 36,807 acreages of land burned and with at least 34 lives lost, Pioneer has taken initiative to help the victims. From fixing the security cameras and grass fields to building the canopy, Measure H has allowed new renovations to be seen all around campus. After a three-year implementation plan for the Next Generation Science Standards, the Science Department is fully using the new standards this year. With the higher demand of staff in the College and Career Center, administration has been working hard to fill the gaps. When President Donald Trump called for the removal of the Deferred Action for Childhood Arrivals program on Sept. 5, many SJUSD families that include “DREAMers” as recipients are known, began to question their fate and future. While the new camera system was installed during second semester of the 2016-2017 school year, it was not operating until July because of a setback with the district. Although the process was delayed, the cameras caught footage of students vandalizing the school over the summer. The current Pioneer administration broke a streak of shifting administrators from past years and are committed to improving their goals and relationship with students. After a year of extensive work to revitalize the fields, Almaden Valley Youth Soccer, Pioneer and San Jose city council have drawn up plans for a new sports complex on the back field. This multi-stage project, if completed, will be the largest field in San Jose. As school days begin to climb in temperature, classrooms echo with the familiar roar of the old Airedale air conditioning systems. 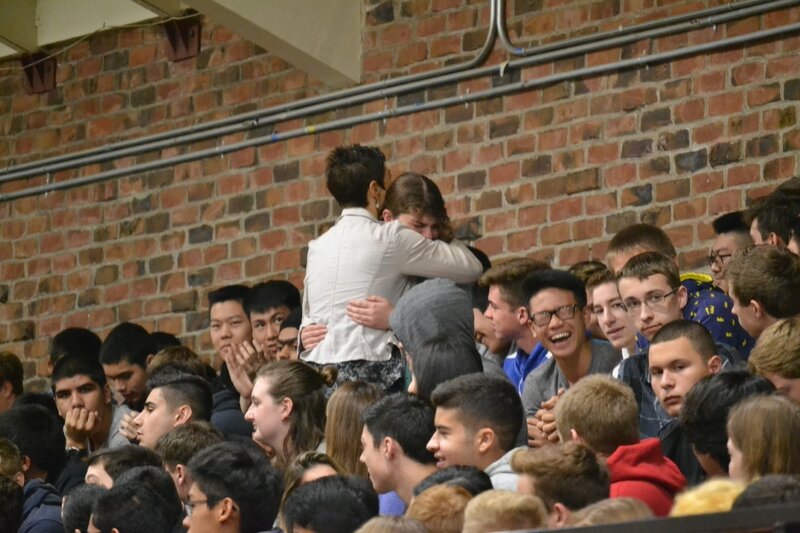 School spirit and bringing the community together is an important factor for the success of Pioneer rallies and events, and this was the focus of this year’s Mustang Madness. Mustang moves on to Stanford after a trophy-filled 4 years. On May 13, Lauren Green, 12, added the 100 Butterfly CCS title to her trophy cabinet, even while recovering from a pneumonia infection. Major project timeline passes first mark with the reseeding of the back grass. The constant battle with the back field is nearly over. The uneven ground and bird feces that once were a major safety issue have now been replaced with safe, level grass. The administration team decided to commence a new program at Pioneer providing more opportunity for students to explore new types of careers. ​Since December, San Jose Unified has been working hard to complete a camera installation in numerous schools throughout the district, including Pioneer. Although SAT prep has informally been part of Pioneer teaching for many years, the school made it formal, to mixed results this year, offering free SAT prep to a limited number of juniors on campus. Diversity Week is an annual week long event put together by Service Learning devoted to showcasing diverse cultures on campus. is year, the week runs from March 27 to 31. This year’s PHS Music Benefit Concert offered a variety of musicality from bands to orchestras and even a rapper. They all took their shot to showcase their talents through music from Broadway. ​San Jose Unified School District has joined the safe zone movement in response to the election of President Donald Trump.This movement is a way for school districts to share with the community that they are committed to keeping the educational environment safe for students regardless of immigration status, religion, or sexual orientation. Every year, since the Sandy Hook massacre in 2012, Pioneer has participated in “26 Acts of Kindness” to commemorate the 26 victims of the tragedy. While looking for a program that would most benefit students of need and to monitor the academic progress, the administration started the SAT test prep this year. For the very first time in Pioneer history, the Mustangs are mixing it up with the Grizzlies. On Feb. 11 both high schools will merge for a dance and night rally filled with competitive games. After years of a hoofless horse on the sign outside the gym, Pioneer decided to reface several of its signs, but the renovations have only just begun. Breaking Down the Walls is a nationwide program that attempts to better our generation by learning from mistakes made by past generations. 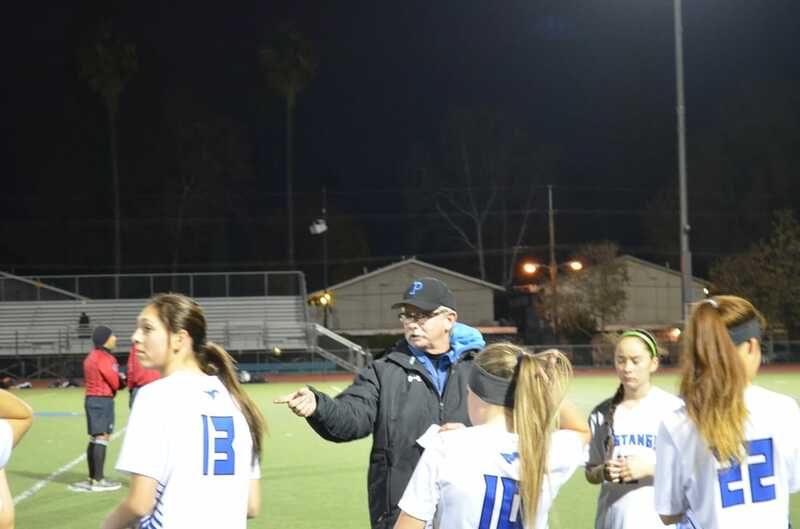 In the previous three seasons, the head coach position of the Pioneer girls varsity soccer team changed each year, potentially affecting the team’s performance during the season.